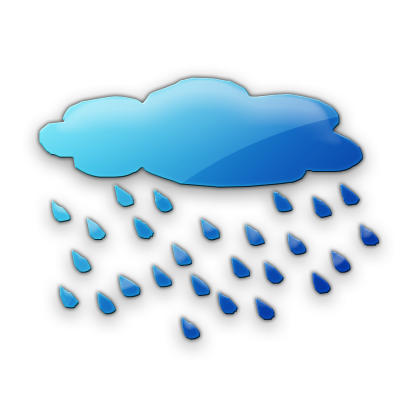 Easily and accurately monitor rainfall amounts with the Stratus Rain Gauge, a precision weather instrument manufactured to United States Weather Bureau specifications. Official weather observers around the country rely on these standards for accurate weather reporting. 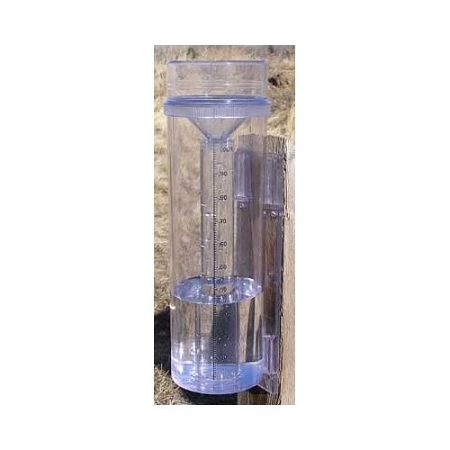 Constructed of heavy-duty, UV resistant polycarbonate, this rain gauge will stand up to years of rough weather and full sun without fading or corroding. Metric Measurement Only. A funnel top on the rain gauge catches rain and delivers it to a 25.4 mm measuring tube, while the extra-large outer cylinder captures rain volumes over 2.54 up to 27.94 centimeters, and can be detached to measure snow, hail, or sleet. The Stratus is guaranteed accurate to 1/50th of a centimeter! Installing the rain gauge on a post (away from buildings and trees) is easy with its exclusive "Quick Connect" bracket, which lets you quickly remove the cylinder for easy measurement or cleaning (and there are no metal parts to rust! ).